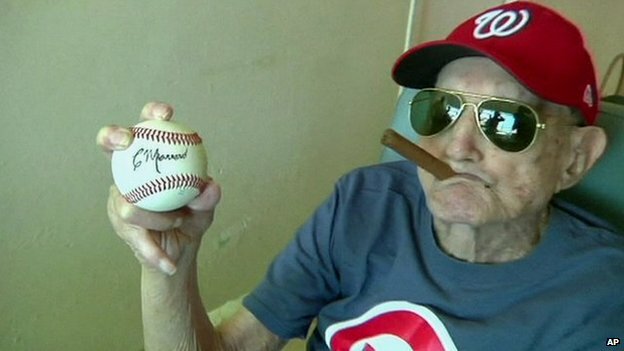 The oldest former player with Major League Baseball, Conrado “Connie” Marrero, has died at home in Havana at the age of 102. Marrero first made his name in Cuba in the 1930s – but went on to have a late career surge in Washington in the 50s. He was also a hero in his home country, where he returned after the 1959 revolution. Marrero’s death, confirmed by relatives, came just two days before his 103rd birthday. Marrero debuted for the Washington Senators at the relatively old age of almost 39, a signing initially dismissed as a joke, says the BBC’s Sarah Rainsford in Havana. One writer described him as a cross between a crazy windmill and a duck flying backwards, our correspondent says. But despite his years, his short stature, and unorthodox style, Marrero soon won over fans and critics alike. Renowned for his love of cigars and constant wisecracks as well as his game, the pitcher returned to Cuba after retiring and was still working as a coach into his 90s. Baseball remains Cuba’s most popular sport. And as one of players who stayed in the country after the revolution, Marrero is viewed as a link between the old professional Cuban League and post-revolution amateur Cuban national baseball system. 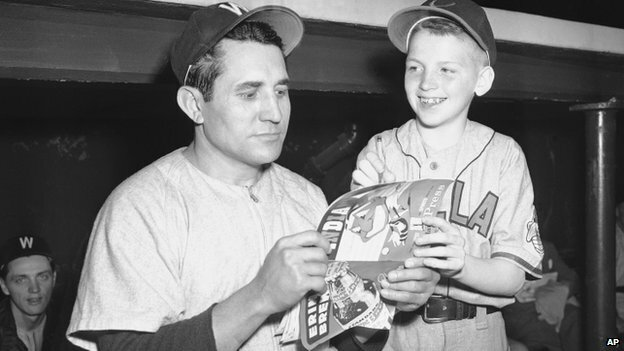 “He was a living legend of Major League and also for baseball in Cuba before the revolution,” baseball fan Manuel Gallego told the Associated Press.